Fresh juice is packed with nutrients that invigorate your body, strengthen your immune system and sustain your health. You can heal the body from the inside out with juicing because juice is easily digestible, and therefore, increases nutrient absorption. It takes twenty-one days to form a new habit and juicing is a healthy healing habit that is simple to make a part of your lifestyle. Drinking fresh juices encourages bowel regularity and some juices, such as prune juice and boysenberry juice, are particularly good laxatives. Chronic constipation can be gently corrected with the help of juice fasts. Juice with high-magnesium vegetables, such as beetroot and beet greens, Swiss chard, collard greens, parsley, broccoli and carrots, help keep you regular. Magnesium in these vegetables relaxes the muscular wall of the colon. As an added advantage, juicing displaces colon-clogging high-fat foods from your diet. Enzymes act as catalysts to chemical reactions that occur in your body. Such chemical reactions include processes that metabolize food, lessen toxin accumulation, aid in digestion, and produce cellular energy. Your body produces enzymes naturally, though your enzyme supply must be replenished. HealthMad.com notes that without a proper supply of enzymes, the body uses enzymes that are stored in your organs, thus slowing down metabolic functions. Your body can receive enzymes from fresh vegetables and fruits. However, once vegetables are cooked at 118 degrees, they loose their enzyme content. Processed or microwaved vegetables are also deficient in enzymes. As such, your body needs additional enzymes when eating cooked or processed foods. Eating raw or very lightly cooked vegetables is the best way for your body to obtain the enzymes it needs to function properly. Consequently, juicing raw vegetables enables you to consume all of the enzymes available in a fruit and likely in greater quantities than when eaten normally. The juices of fruits and vegetables with the highest concentrations of antioxidants offer the best protection against damage caused by free radicals, unstable molecules that naturally occur in your body. 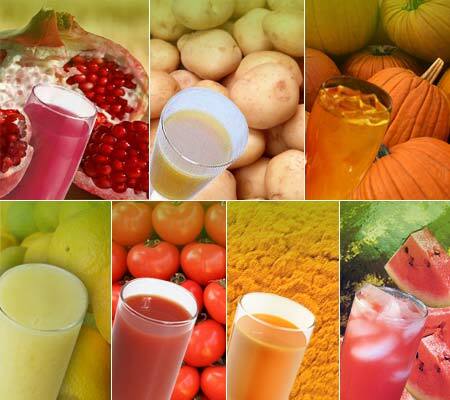 The best antioxidant juices contain 100 percent natural fruits or vegetables. Darker colored fruits and vegetables appear to contain more antioxidants. Laboratory research conducted at the Center for Human Nutrition at UCLA concluded that pomegranate juice has superior antioxidant properties. According to a study reported in the February 27, 2008, issue of the “Journal of Agricultural and Food Chemistry,” a research team compared samples of pomegranate juice to samples of acai, apple, blackberry, black cherry, blueberry, cranberry, Concord grape and orange juices. The researchers also included red wine, iced tea beverages, black, green and white teas. In this comparative study, four tests analyzed and compared the antioxidant potency of these commonly consumed beverages. The researchers concluded that pomegranate juice outranked the other beverages in antioxidant potency by at least 20 percent. Concord grape juice rated as the second best antioxidant juice in the above-mentioned comparison study at UCLA. Martha Grogan, M.D., of the Mayo Clinic explains that the skin and seeds of dark red and purple grapes contain antioxidants. Resveratrol, an important antioxidant associated with reducing the risk of heart disease, is found in the juice made from dark purple Concord grapes. Grape juice also contains antioxidants called flavonoids, which effectively increase levels of high-density lipoproteins commonly referred to as “good” cholesterol. These antioxidants have been shown to reduce the risk for atherosclerosis and help lower blood pressure. Celery has a rich history both as food and as medicine. Evidence of the existence of celery dates back to ancient Greece, where it was considered a holy plant. While in modern society celery is generally a food source and not a medicine, the active compounds in this vegetable suggest it can help support healthy bodily functions and potentially treat certain ailments. Celery contains numerous active compounds, which include vitamin A in the leaves and vitamins B1, B6, B2 and C within the stem. Other compounds include folic acid, potassium, sodium, phosphorus, iron, magnesium and amino acids. One of the most potent constituents in celery is phthalide, which is responsible for the characteristic taste and aroma of celery. 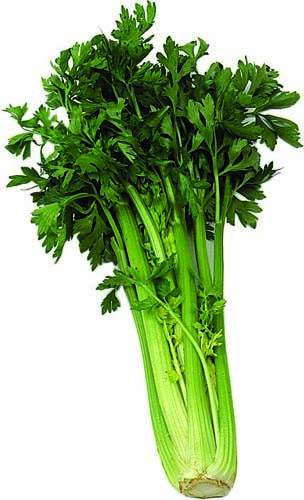 Selinene, d-limonene, sedanonic, anhydride and sedanenolide are other active compounds found in celery. Preliminary studies suggest the consumption of celery and celery juice may help lower total cholesterol level. 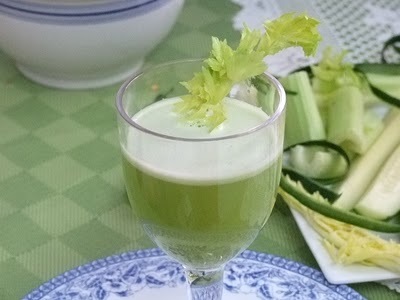 Celery juice contains a high concentration of antioxidant compounds known as flavonoids. While all forms of celery contain flavonoids, the concentration of these antioxidant compounds varies according to celery type. A study published in the January-February 2010 issue of the “Journal of Food Science” found the antioxidant activity was highest among Shengjie White Stalk celery. Researchers at the Institute of Vegetables and Flowers, Chinese Academy of Agricultural Sciences, found 2.2 lbs. of Shengjie White Stalk had 732.21 mg of flavonoids, with the bulk of flavonoids found in celery leaves. Antioxidants benefit your body by fighting off free radicals, which are uneven atoms capable of damaging DNA and causing health ailments such as certain forms of cancer. Traditionally, celery is used to treat nervousness, hysteria and arthritis; however, modern science has debunked numerous uses of this vegetable. One of the more studied benefits of celery is its ability to potentially lower high blood pressure. 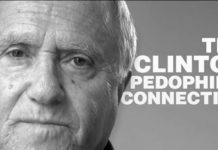 NY Times reporter Jane E. Brody cites a study, performed by the University of Chicago Medical Center, where rats were given 3-n-butyl phthalide, which is the primary active compound in celery. Upon conclusion of the study, cholesterol levels were reduced by 7 percent while blood pressure was reduced 12 to 14 percent. To determine its effectiveness in humans, a researcher’s father consumed 1/4 lb. of celery per day for seven days. 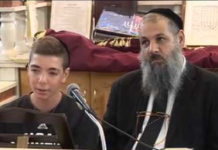 Upon conclusion, his blood pressure dropped from 158/96 to 118/82. People who work out on a regular basis know the importance of replacing electrolytes lost through perspiration. Herbalist Stephen Harrod Buhner, author of “The Natural Testosterone Plan,” says that celery juice supports electrolyte balance and helps to optimize kidney function. The high level of primary electrolytes — calcium, magnesium and potassium — in celery juice enhances the body’s electrolyte balance, while the diuretic properties of the juice promote urine flow through the kidneys, helping to optimize their filtration capacity. Kidneys require good health practices and maintenance in order to work properly and efficiently. You should not wait until your kidneys start to have problems before you take care of them. You can cleanse your kidneys with certain juices to promote good kidney health. 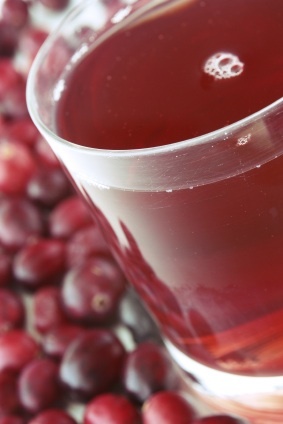 Cranberry juice helps support the kidneys, mostly due to cranberry juice being a highly acidic juice. Its acid can help prevent kidney stones from developing. Cranberries contain a chemical called polymer and it is the polymer in cranberries that is responsible for increasing the acidity of your urine as well as helping prevent bacteria from growing. According to the American Kidney Fund, it is polymer in urine that helps prevent bacteria from sticking to the lining of the urinary tract, multiplying and causing a bacterial infection. Urinary tract infections are typically caused by the bacteria E. coli. This bacteria typically comes from your digestive tract and will multiply at the opening of the urethra, which is the small tube that carries urine from the bladder. 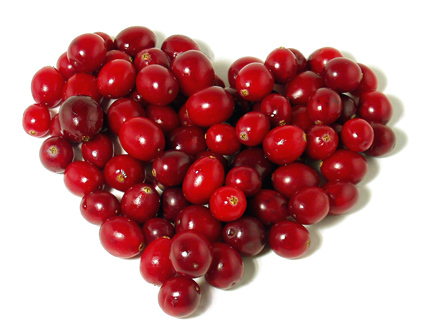 Cranberries prevents bacteria from clinging to the walls of the kidney and growing. 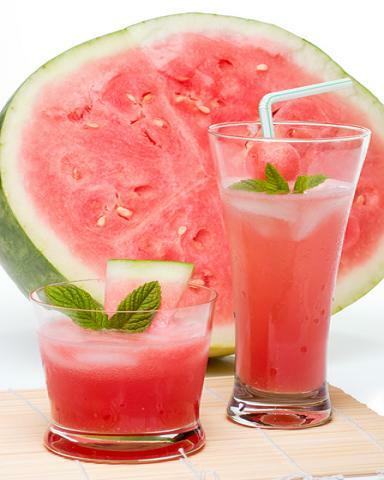 watermelon juice is a good way to help flush and dissolve kidney stones. It is also high in lycopene, a good cancer preventative. Watermelon is recommended to eat throughout the day and it helps keep your bladder regular. This method can helps you to dissolve big kidney stones and pass it out of the body in the form of sand. However, it is not recommended for patients with diabetes. According to a 1995 Harvard University study, watermelon contains a lot of potassium, which is very helpful in cleaning or washing off the toxic deposits in the kidneys. It is also helpful in reducing the concentration of uric acid in the blood, which helps reduce the chances of kidney damage and the formation of renal calculi. Pineapples are packed full of nutrients, vitamins and enzymes that are good for just about every system of the body, including the kidneys. Pineapples contain an enzyme known as bromelain, which works as an anti-inflammatory as well as an agent that fights cancer and infections. 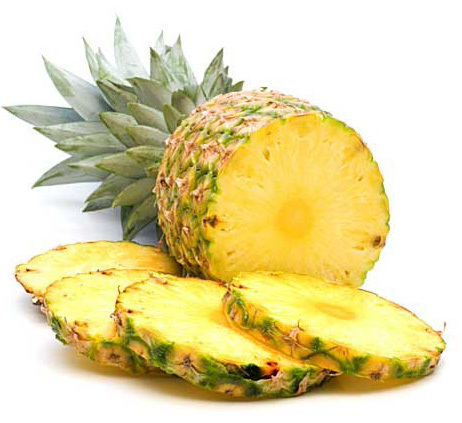 Pineapples help the kidneys partly due to their diuretic nature, keeping the kidneys working and functioning well. When the kidneys work at their optimum, toxins do not have a chance to build up, and your body is more apt to stay toxin-free. This is true of both the blood and your kidneys. 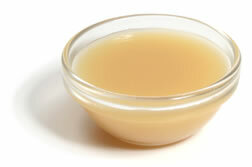 The pectin in apple juice can help flush out the urinary tract. Keeping the urinary tract free from excess bacteria is an important step in maintaining good kidney health, as infections in the urinary tract can quickly spread to the kidneys. Apple juice contains high levels of antioxidants that help to eliminate free radicals from the kidneys and other organs. Parsley is a diuretic and antiseptic that not only helps with the prevention of kidney stones but also with treatment. It assists in keeping kidneys healthy and clean by eliminating waste and toxins. There is some evidence that certain fruit juices, especially those high in potassium, may help lower blood pressure. Hypertension, or high blood pressure, is a disease that is highly responsive to positive dietary and lifestyle changes. A 1-cup serving of orange juice contains 496 milligrams of potassium, 27 milligrams of calcium and 27 milligrams of magnesium. Potassium can prevent and control high blood pressure, according to the National Heart, Lung and Blood Institute. Research has not consistently proven that calcium and magnesium improve your blood pressure, but both minerals work with potassium to maintain your overall good health. In an article published in the January 2011 issue of “The American Journal of Clinical Nutrition,” French researchers reported that after four weeks of orange juice consumption, a group of overweight, middle-aged men had lower blood pressure. 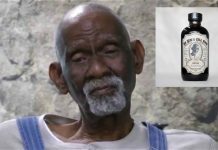 Researchers from Shifa College of Medicine in Pakistan write that in a clinical trial, 259 study participants diagnosed with pre-hypertension either consumed 250 to 500 milliliters of prune juice daily for eight weeks or were placed in a control group. 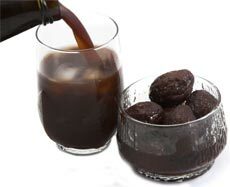 At the end of the study, subjects who drank prune juice had lower blood pressure than those participants placed in a control group. A 1-cup serving of prune juice contains 707 milligrams of potassium, 31 milligrams of calcium, and 36 milligrams of magnesium. One cup of pomegranate juice contains 533 milligrams of potassium, 27 milligrams of calcium and 17 milligrams of magnesium. According to an article published in the September 2001 issue of “Atherosclerosis,” pomegranate juice contains “potent” antioxidants, compounds that may help protect you from chronic disease, aging and cell damage from environmental factors. 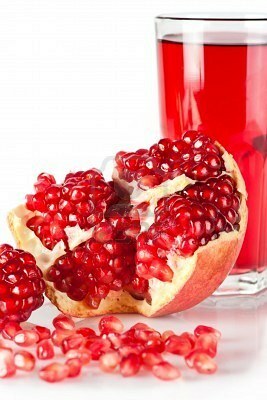 In the article, researchers from The Rappaport Family Institute for Research in the Medical Sciences and Rambam Medical Center in Israel reported that pomegranate juice consumption reduced blood pressure levels in hypertensive patients by 5 percent in one study. Cranberry juice is often associated with having a curative effect on urinary tract infections, but some research also shows it may have a positive effect on blood pressure as well. In the November 2007 issue of “Nutrition Reviews,” researchers from Tufts University reported that the polyphenols found in cranberry juice may help lower blood pressure and reduce risk of developing heart disease. Polyphenols are a type of antioxidant found in plant-based food. Cranberry juice contains 194 milligrams of potassium, 20 milligrams of calcium, and 15 milligrams of magnesium. The American Diabetes Association deems citrus fruits such as oranges, lemons, and limes superfoods that you should strive to include in your diet. Even though they are full of sugars, citrus fruits possess low glycemic index scores. Citrus fruits contain essential nutrients such as vitamin C and soluble fiber, which can help lower your low-density lipoprotein cholesterol and help keep your blood glucose levels within a healthy range. Berries are another diabetes superfood. Strawberries, blackberries, blueberries, raspberries and other varieties contain rich amounts of vitamins and antioxidants. They also provide an excellent source of dietary fiber. All freshly squeezed juices from the citrus family are healthy choices on a diabetes diet. 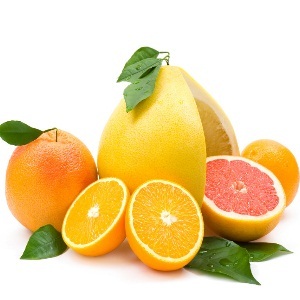 Examples of citrus fruit are oranges, grapefruit, tangerines, lemons and limes. Citrus fruits boast a low glycemic index rating compared to other fruits, meaning they have less effect on your blood sugar levels. Include pulp in your juice, as the soluble fiber in citrus fruits also helps slow down your body’s absorption of sugar. Soluble fiber may also help lower your blood pressure, reduce your low-density lipoprotein cholesterol and prevent inflammation of your blood vessels. Raw beets are used to extract beet juice. The nutrition analysis per 2-inch raw beet, according the U.S. Department of Agriculture nutrient database, is 35 calories, 1 g protein, 8 g carbohydrate. A 2-inch beet also provides 89 mcg of folate, 4 mg of vitamin C and almost 1 mg of iron. There is no significant amount of fat in a beet. Juicing a beet results in a similar nutrition profile, but the 2 g of fiber supplied by the vegetable are lost in the juicing process. 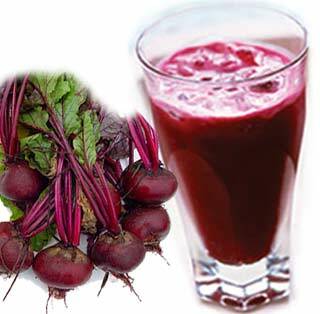 The nutrients supplied by beet juice in significant amounts are important for everyone. Vitamin C is an antioxidant, which means it protects cells from being destroyed by normal body processes and by exposure to environmental pollutants. Folate, also known as folic acid and folacin, is necessary for new cell production and, for pregnant women, helps prevent birth defects in the brain and spine of the fetus. Iron is necessary to ensure the development of healthy red blood cells that carry oxygen throughout the body. Researchers found that drinking beet juice lowers high blood pressure within one day, according to a study published in the American Heart Association’s journal “Hypertension” in 2010. Amrita Ahluwalia from Queen Mary University of London led the study. The researchers said beet juice is just as effective as taking the prescription drug nitrate in lowering high blood pressure. Beet juice contains the compound nitrate, which is responsible for beet juice’s beneficial effects. It improves blood flow by dilated blood vessels and relaxing smooth muscle, which results in reduced blood pressure. A study by researchers at Wake Forest University, published in 2010 in “Nitric Oxide: Biology and Chemistry,” found that when the elderly participants drank beet juice, they increased the blood flow to their brain. According to the study’s lead researcher, Daniel Kim-Shapiro, director of Wake Forest’s Translational Science Center, some areas of the brain receive less blood flow as you age. Less blood flow means fewer nutrients and less oxygen, which results in mental decline. Papaya juice is a rich source of beneficial enzymes. Papain enzyme extract benefits the digestion of protein and helps with indigestion, acid reflux and heart burn, according to the website iHealthDirectory. The high fiber contained in papaya juice may work as a natural laxative, helping to promote the elimination of waste products and prevent constipation. Thanks to an enzyme in papaya, it can soothe stomach upset caused by overeating, and may even help to treat ulcers. 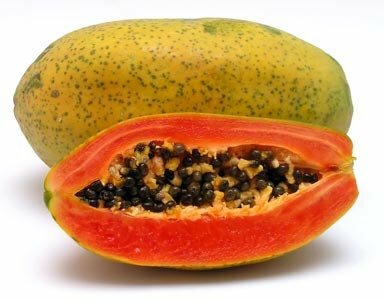 The World’s Healthiest Foods website explains that papain is the primary medicinal and digestive enzyme contained in the papaya. It has been used for many years in traditional folk medicine to treat digestive problems, indigestion and upset stomach from eating too many rich foods. 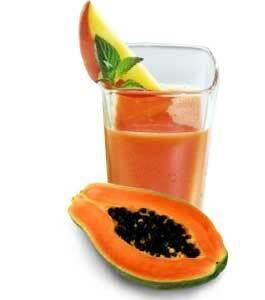 Drinking papaya juice instead of eating the fruit has some advantages and disadvantages in regards to constipation. On the one hand, it contains more water, which helps to relieve constipation, and it is a more concentrated form of papain. On the other hand, it contains far less insoluble fiber. However, it also depends on how you make the juice. If you simply blend the fruit, then you’ll get everything, but it won’t be very easy to drink. If you use a juice extractor, you’ll lose most of the insoluble fiber, but it will be much more watery. Either way, papaya displays mild laxative properties that help peristalsis within your large intestine, which triggers the need to relieve yourself, as cited in “Biochemical, Physiological and Molecular Aspects of Human Nutrition. Because papaya juice is made up primarily of carbohydrates, it is low in both protein and fat. One cup contains only .42 g of protein and .37 g of fat. The protein and fat in one cup of juice account for only three of the 141 calories. 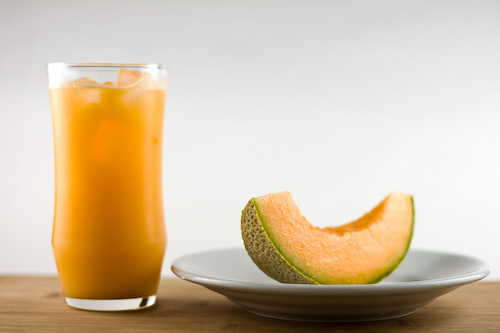 Cantaloupe is a fruit with a high water content and is easy to juice. It offers several nutrients that are important for your health and is a sweet and refreshing treat on a hot day. Potassium is a nutrient that regulates your blood pressure and aids in the contraction of your bones and muscles, including those in your digestive tract. Cantaloupe is a good source of potassium, with 358 mg per serving. Juicing cantaloupe may alter this amount slightly but will still increase your intake in a healthy way. Beta-carotene converts to vitamin A in your body, increasing the benefits you get from this vitamin. A serving of cantaloupe contains 4,532 IU of vitamin A and 2,707 mcg of beta-carotene. Getting adequate amounts of vitamin A in your diet is associated with the health of your eyes, reproductive system, bones and cell division. It also supports immunity by producing white blood cells, which in turn fight off bacteria and viruses that cause illness. Juicing a cantaloupe offers similar intake benefits. The vitamin C in a glass of cantaloupe juice supports a healthy immune system, creates the collagen needed to keep your skin healthy and heal wounds, and helps your body absorb iron from your food. A serving of cantaloupe contains nearly 50 mg of vitamin C.
Including cantaloupe juice in your diet could help you maintain your weight and even lose excess weight. This is because it is low in fat and calories. A serving has just 46 calories and less than 1 g of fat. Combined with the nutritional benefits, cantaloupe juice is a healthy addition to a well-balanced diet for weight control and overall health. Broccoli is a cruciferous vegetable that is a member of the cabbage family. 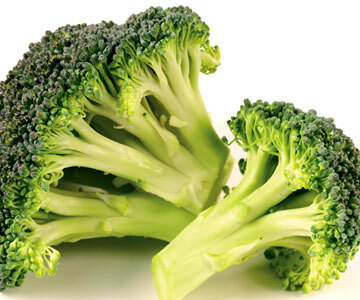 Broccoli is characterized by thick, light green stalks or stems, and dark green, tightly packed florets on top. 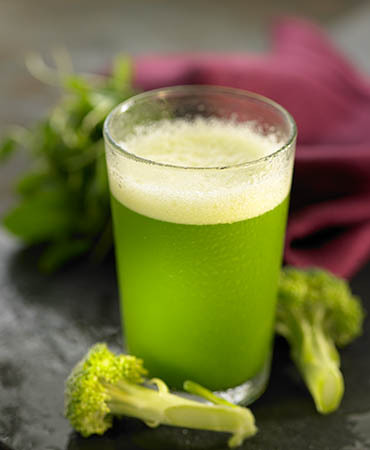 Broccoli juice is best enjoyed blended with other juices, such as carrot and apple, to make it taste better. Juice raw broccoli to receive the best nutritional value and to keep all of the enzymes intact. Drinking broccoli juice enables you to take in large amounts of pre-digested nutrients, which gives your digestive system a rest. Juicing also makes it possible to ingest much more raw broccoli than you would eat at one sitting. It is easy to include an entire head of broccoli with carrots and an apple in a tall glass of juice, but eating the same head might be difficult. According to Juicing-for-Health.com, broccoli contains a substance called sulforaphane, which may be useful in assisting the body in preventing peptic ulcers. 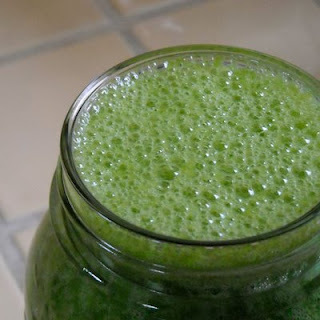 Broccoli juice can also ease gastritis and indigestion. Compared ounce for ounce with milk, broccoli actually has more calcium, according to Iowa State University. The calcium in broccoli juice can help with the bone density problems many people experience as they get older. Broccoli juice is also a beneficial alternative to cow’s milk for those who are lactose intolerant. Broccoli juice contains an anti-estrogenic compound known as glucosinolates. This compound helps the body rid itself of excess estrogen, which has been associated with elevated breast cancer risk, says Juicing-for-Health.com. Juicing fresh broccoli can help protect your vision. Broccoli has high antioxidant levels, which can help keep your vision clear, as well as lutein, which helps protect against age-related macular degeneration. Combine broccoli and carrot juices for an even more powerful eye tonic. Broccoli is rich in vitamin C, a water soluble vitamin that assists in growth and development through forming collagen and assisting in the repair of damaged tissues in your body. Broccoli is also rich in vitamin A, which is essential for regulating your immune system, creating strong vision, bone growth and helping keep the lining of your urinary, respiratory and digestive tracts healthy. Consuming juice rich in vitamin C may benefit your heart. One contributing factor that increases your risk of heart disease is chronic inflammation, and reducing the inflammation in your body may also reduce your risk of cardiovascular disease. Consuming vitamin C can reduce the levels of a pro-inflammatory protein called CRP — a bio marker correlated with heart disease, according to the University of California-Berkeley. Consume pineapple, strawberry, grapefruit and orange containing juices to boost your vitamin C intake and benefit your heart. According to the Agricultural Research Service website, cherries may help relieve painful symptoms associated with gout and arthritis. Gout is caused by the accumulation of uric acid crystals in the joints. This is preceded by urate in blood plasma, therefore investigators closely monitored volunteer’s levels of plasma urate before and after eating cherries. Plasma urate was found to decrease significantly during a California investigation in 2003 involving 10 adult women that were given Bing cherries for breakfast.A 2004 study conducted by the Agricultural Research Service, a division of the USDA, found that cherry intake may benefit those that have gout or are prone to gout. Volunteers abstained from fruit, strawberries and wine for two days prior to the study. On the day of the study, blood tests were conducted, then subjects ate a bowl of 45 cherries, followed by more blood tests. Within five hours after cherry ingestion, urate levels inside the bloodstream decreased significantly. 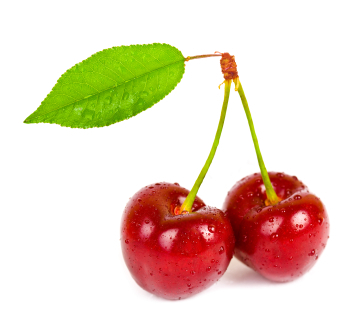 Researchers believe that this could indicate that cherries can help fight gout. Tart cherries contain phenolic compounds, including flavonoids and anthocyanins, that provide anti-inflammatory effects. In addition, 16 different antioxidants, including quercetin, are present in tart cherries. Tart cherries also provide citric acid, malic acid and tannins, as well as the minerals calcium, phosphorus and potassium and the antioxidant vitamins A and C. Drugs.com, which provides medically reviewed information to consumers, credits tart cherries not only with anti-inflammatory and antioxidative properties, but also the potential to inhibit tumor growth, retard cardiovascular disease and possibly slow the aging process. One ounce, which equals about 2 tbsp., of tart cherry juice concentrate provides 100 calories, 1.6 g of fat, 21 g of carbohydrates, 21 g of sugars and .9 g of protein.Tart cherry extract might help aid muscle recovery and reduce muscle damage. Lead researcher Dr. Glyn Howatson from Northumbria University studied the impact of cherries on C-reactive protein and interleukin-6, which are markers of inflammation, and isometric strength, which is an indicator of muscle damage. Juice can be a critical component to your diet when you have a cold. 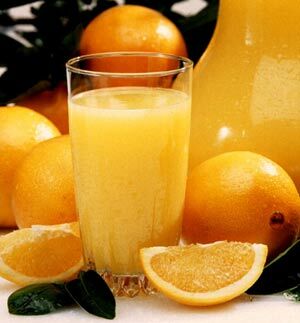 A critical evaluation published in the May 2009 issue of “Journal of the American Academy of Nurse Practitioners” points to vitamin C as the key to lessening the duration of your sickness, so drinking juices high in vitamin C is a healthy option.Orange juice is an excellent source of vitamin C, which makes it a smart choice when you have a cold. One 8 oz. serving of orange juice provides 154 percent of the daily recommended intake of vitamin C. It also has a small amount of protein — 1.9 g — which is also quite beneficial for your immune system. You do require considerably more than this, however. Depending on your activity level, you need 50 to 175 g of vitamin C daily. Zinc also helps improve your immune function; a serving of orange juice boosts your zinc, providing 1 percent of the amount you require each day.While you may not enjoy the thought of drinking mouth-puckeringly sour lemon juice, it may be a good choice when you have a cold: an 8 oz. serving contains 128 percent of the vitamin C your body requires each day. You also take in 1 percent of the daily recommended intake of zinc, which may reduce the duration of your illness. 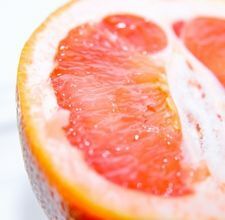 Additionally, a serving of lemon juice provides a small amount of magnesium, a mineral your body requires to regulate the amount of zinc in your body.Grapefruit juice is a good beverage choice when you have a cold. An 8 oz. serving of this juice contains 134 percent of the vitamin C recommended for daily intake, as well as 1 percent of the daily recommended consumption of zinc, both of which may help you get over your cold quicker. Joanne Larsen, MS, RD, LD, advises you to drink plenty of cold liquids like grapefruit and other fruit juices because they can help stop your nose from running. Many people consider a tomato a vegetable, but it is actually a fruit. This puts tomato juice on the list of best cold-fighting fruit juices. An 8 oz. portion of this juice offers up 63 percent of the vitamin C you should consume each day. You also get 2 g of protein. In addition, tomato juice provides 26 percent of the vitamin A you require daily, which may bolster your immune system and provide antioxidant protections, both of which can help when you have a cold. Garlic’s folklore is documented as far back as ancient Egypt. During the Black Plague, those who survived were said to do so because they ate garlic in their diet. During World War I, field surgeons supposedly used garlic juice-soaked moss as wound compresses. The University of Maryland Medical Center notes that garlic’s renowned clout against infections is twofold: it fights the viruses, bacteria, fungi and parasites directly as it stimulates the immune system against the attackers. Garlic juice may decrease cardiovascular symptoms, reduce blood pressure and treat and prevent coughs, colds and sore throats. It also can strengthen the immune system, act as an antiparasitic, antibacterial, antiviral and antifungal and possibly combat fatigue, according to the University of Maryland Medical Center.Garlic juice and other garlic preparations have been the focus of numerous studies. A 2006 review in “The Journal of Nutrition” states that garlic shows to reduce cholesterol and platelet aggregation, has a positive effect on hypertension and may boost immunity.For thousands of years, garlic has been touted for its healing properties. 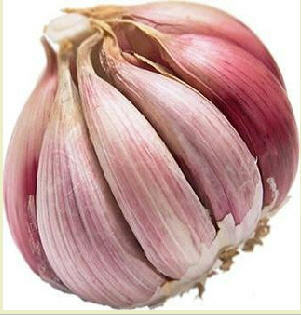 The results of more than 1200 pharmacological studies show that garlic, indeed, has antibacterial, antiviral and anti-fungal properties, according to Jonny Bowden, Ph.D., certified nutrition specialist and author of “The 150 Healthiest Foods on Earth.”Fresh garlic is also rich in vitamins A, C and the B vitamins. It contains copper, iron, potassium, tin, selenium, calcium, germanium, aluminum and sulphur. 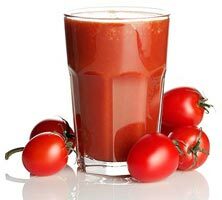 Tomato JuiceTomato juice is a flavorful, low-calorie drink that is a good addition to a healthy diet.Although water is the healthiest beverage, not everyone is happy to just drink water whenever they are thirsty. One alternative that has a number of health and nutrition advantages is tomato juice. It is filled with vitamins and minerals while being low in calories and fat free.A 1 cup serving of canned tomato juice provides 40 calories, 2 g of fiber and 2 g of protein. It also contains 70 percent of the daily value for vitamin C, 25 percent of the daily value for vitamin A, 15 percent of the daily value for vitamin B6, 10 percent of the daily value for folate, 8 percent of the daily value for thiamine, niacin, iron and magnesium, 6 percent of the daily value for phosphorus, 4 percent of the daily value for riboflavin and 2 percent of the daily value for calcium and zinc. Tomato juice is also a source of lycopene, vitamin E, potassium and vitamin K.
Watermelon is rich in lycopene, containing 4,532 mcg of lycopene in 100 g of watermelon, roughly 3.5 oz. Lycopene is an antioxidant, which means it helps to prevent damage to DNA and your cardiovascular system, as well as helping to prevent cancer.Watermelon contains 8.1 mg of vitamin C and 303 mcg of beta-carotene in a 100 g serving. Vitamin C and beta-carotene, along with vitamin E, are the most abundant antioxidants in fruit and vegetables. They also help to prevent damage to your DNA and reduce the risk of various kinds of cancer. Parsley is a lot more than that little, decorative sprig of green on a restaurant plate. It’s a super-charged nutritional and medicinal powerhouse. Parsley grows in nearly every climate and is cultivated for use year around. According to the Natural Health Techniques web site, parsley and parsley juice are a great source of natural beta-carotene, chlorophyll, essential fatty acids, folic acid, iron, vitamin B12, vitamin K and vitamin C.
According to the website Drugs.com, parsley serves as a diuretic and is beneficial to the kidneys. Its additional efficacy as a laxative doubly assists the body’s elimination of toxins.Parsley is also used a treatment for anemia due to its high concentration of iron notes the Natural Health Techniques, or NHT, website. People who are anemic and have trouble taking iron supplements may want to consider drinking parsley juice instead.Parsley is used to boost the immune system. Because of its high levels of vitamin C, B12 and beta-carotene, parsley is reported to help the body increase its immunity.Parsley juice has an enormous number of health benefits in a small serving. Because the leafy plant provides one of the more potent juices, serving sizes should be limited to about 1 ounce to avoid overdosesAccording to Dr. Gayle Eversole, parsley juice helps tonify your blood. Its high level of chlorophyll oxidizes the blood, and its vitamin content strengthens the walls of your capillaries and arterioles, the small vessels that branch from the arteries to the capillaries.Parsley juice aids your body in dispelling mucus. If you suffer from allergies, chronic sinus infections or come down with a case of bronchitis, parsley juice may help you find relief from sinus pressure and coughing. It can also help ease the discomfort of a common cold.